From I-275, take US 50 W, to Rt.on Sr48, pass the town of Manchester & Weisburg Rd. Sign on. 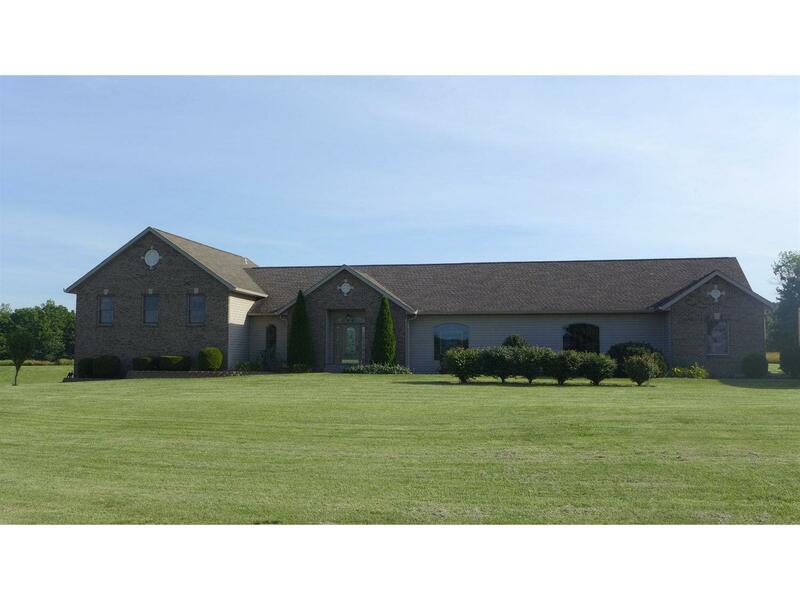 Beautiful custom 3Br Tri-level/Ranch home. Lg.open concept w/vaulted ceilings, oak woodwork, step down LR, HDWD flrs, 9ft doors. One of a kind eat-in kitchen w/new granite countertops, w/o to private deck. All appliances stay. Lg.mstr suite w/walk-in closet. 3C over sized garage, geothermal heat/cooling, with pond on just over 5.5acs.